A clever-looking showcase setup in a sporting goods shop. Bumpers serve to protect cases from store traffic. 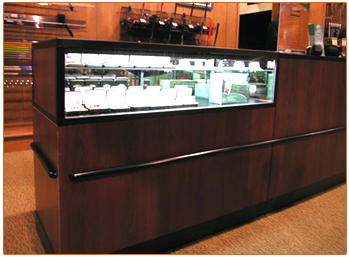 Dark laminate and black extrusions coordinate with the store setting.